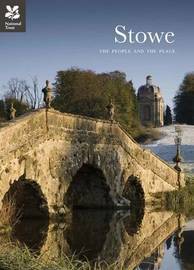 Stowe explores the magnificent landscape garden that is one of the most remakable legacies of Georgian England and the succession of extraordinary characters who made it. Created by Viscount Cobham in the grounds of his family home, the garden came to reflect a coherent programme of ideas based on Cobham's hugely influential network of political affiliations. Realised by designer William Kent, Stowe encapsulates an idealised vision of constitutional monarchy and political freedom. The garden features a series of extraordinary and innovative garden buildings, designed by leading architects of the day, all set in a carefully constructed Arcadian landscape of valleys and lakes. Cobham's immediate successors enhanced and extended the garden, naturalising its more formal aspects and openeing up fresh vistas towards the glorious new house that they constructged, as well as adding yet more temples and monuments. The house and garden were sold in l922 when Stowe School was founded. The National Trust first became involved in l967 and took over formal ownership of the garden in l989, initiating a major programme of restoration. Richly illustrated with superb garden photography, portraits and archive material, Stowe tells a fascinating sotry of power and personality, and celebrates a wonderful garden that was inspired by politics and rescued by a school.